Please note that this service is for dog breeders only. What is Chiari/Syringomyelia (CM/SM) screening? 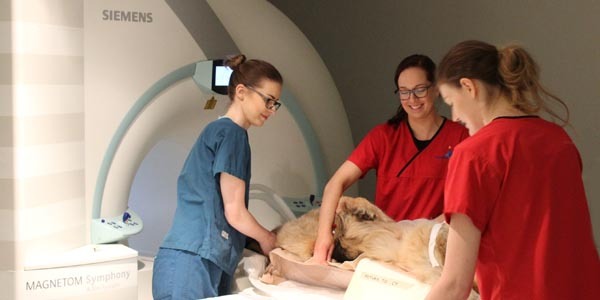 CM/SM MRI screening (sometimes called mini MRI) is a limited MRI study of the back of the brain and upper neck provided at low cost and intended as an economical screening test for dog breeders. Due to the limited nature of the scan carried this type of scan cannot be used as a ‘budget’ scan for patients with neck pain or other types of brain disease. Magnetic resonance imaging (MRI) makes a picture of the water molecules in the body. It is excellent way of looking at the central nervous system which does not image well using traditional x-ray technology. The pictures are presented as a series of “slices”; analogous to a sliced loaf of bread. CM/SM MRI screening (sometimes called mini MRI) is limited MRI study of the back of the brain and upper neck only. What is the cost of a CM/SM MRI screen? Fitzpatrick Referrals subsidises the cost of screening MRI’s to help breeders make better decisions about which animals to breed from. The cost of a screening MRI is £240 (inc VAT) + BVA reading fee £100 (inc VAT). 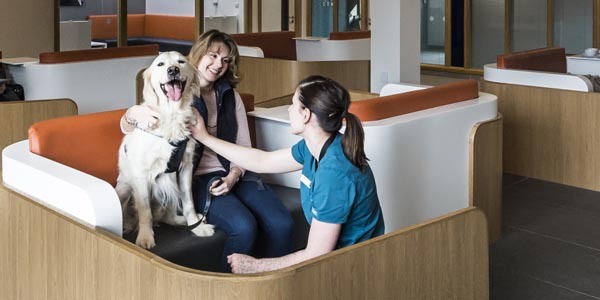 How do I arrange a CM/SM MRI screen at Fitzpatrick Referrals? The scans may be booked by filling out the submission form below. We will get back to you within 48 hours to confirm the booking. The dog must have permanent identification i.e. microchip or tattoo. 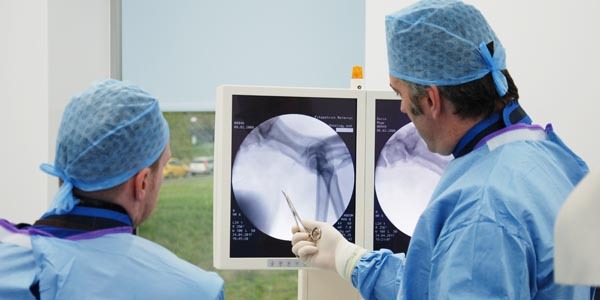 A microchip can be implanted at the time of the MRI scan (cost £15 inc VAT). If the patient is kennel club registered the appropriate kennel club certificate must be brought to the clinic on the day of scanning. Patient’s do not have to be kennel club registered to be eligible for BVA screening. 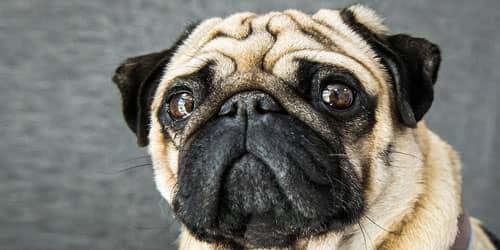 If you have a dog with neck pain, neurological deficits or suspected Syringomyelia please see your veterinary surgeon regarding a referral to one of our neurology consultants. This screening is intended for dogs prior to breeding. There is no consultation to discuss the dog or the MRI scan results. A mini report is sent within 48 hours to confirm the screening has taken place. A graded report is produced by the BVA but may take 6-8 weeks. Follow this link for more information on the BVA screening scheme. I confirm that I am a qualified veterinary surgeon and informed consent was obtained from the patient's owner to act on behalf of the animal described above. I hereby give permission for the administration of an anaesthetic to the above animal and to the surgical or other procedures detailed on this form together with any other procedures which may prove necessary. I understand the nature and requirements of these procedures and of other such procedures as might prove necessary. I understand that there are some risks involved in all anaesthetic techniques and surgical procedures. I confirm that I have read and understood the consent explained above.